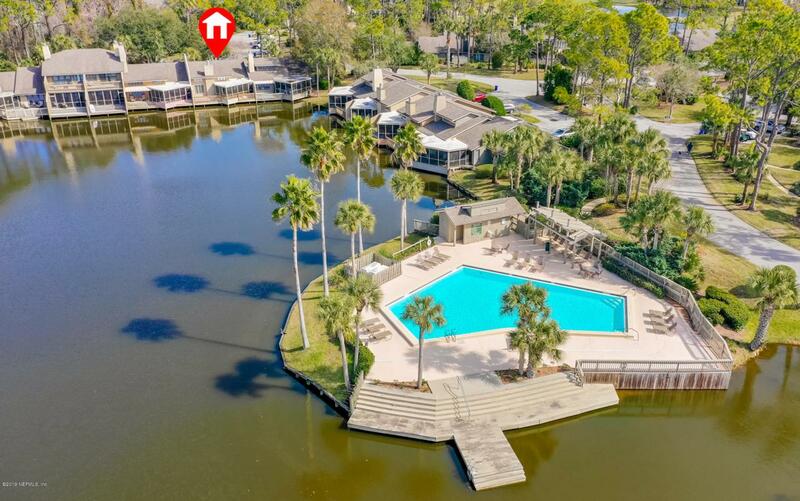 Completely remodeled Fisherman's Cove condo in desirable Sawgrass Country Club located on the beautiful lagoon. Open concept floor plan with 2 story family room, stacked stone fireplace, plantation shutters, hardwood floors & wet bar with granite counters and glass shelves. 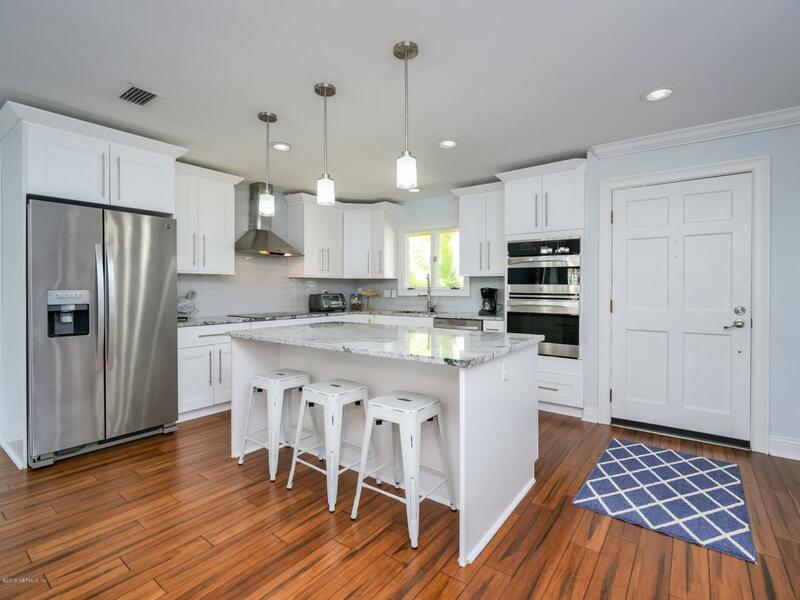 Coastal kitchen with white cabinets, granite counters, double ovens, stainless steel appliances. Large master bedroom with hardwood floors, barn doors enter into master bath with 2 vanities and large walk-in shower. Large guest bedroom. Watch the turtles swim and birds from the screened porch and two decks overlook the stunning lagoon. 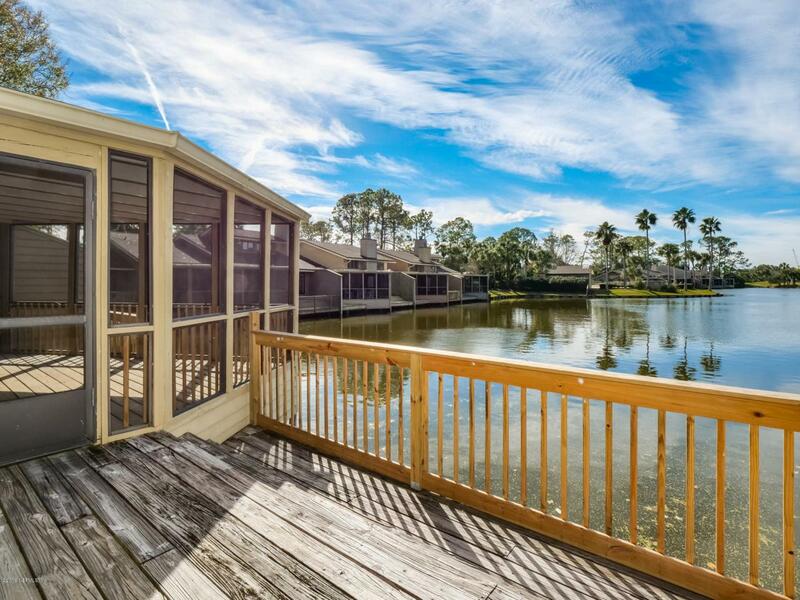 Walk to community pool and Sawgrass beach access. 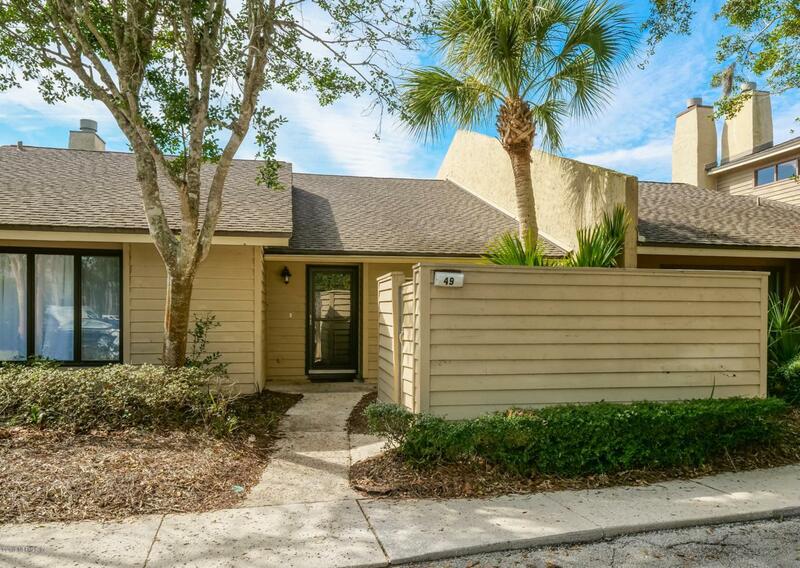 Convenient location to shopping, golf, tennis and restaurants in Ponte Vedra Beach. 2017 HVAC & WH. Incredible VRBO rental history.